If you have any Ed Emberley books, they’d be a great jumping off point for ideas. First you decide what colors you need, gather some paints and get them all situated on a paper plate in little globs of color. Little hands can use their thumbs to dip into the paint. 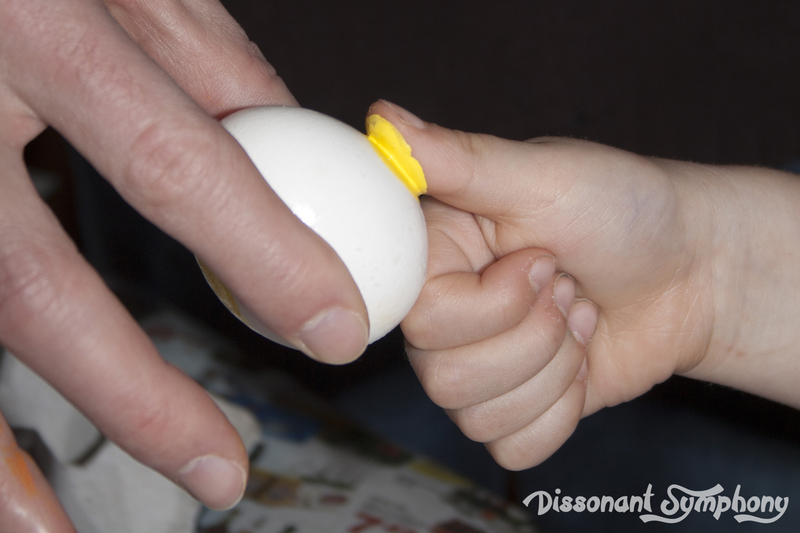 I had to use my pointer (first) finger to fit on the egg well. 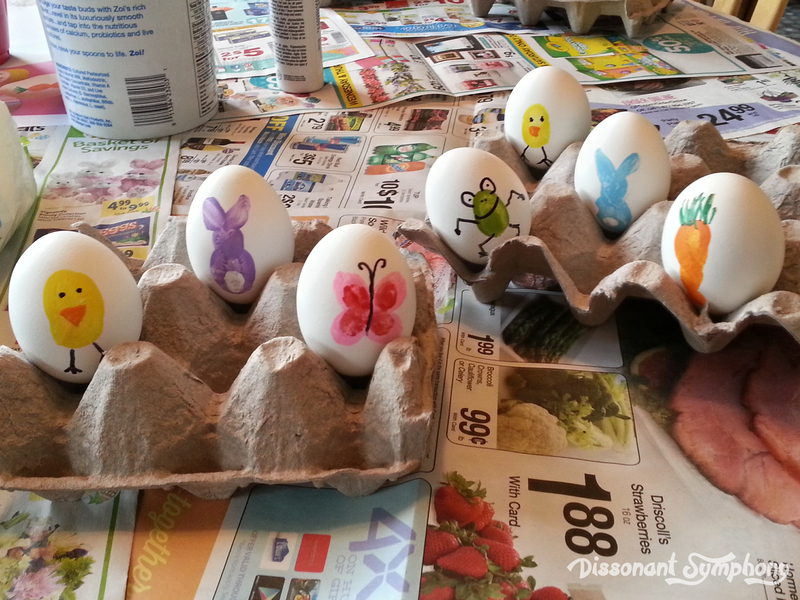 And then press gently onto hard-boiled eggs. 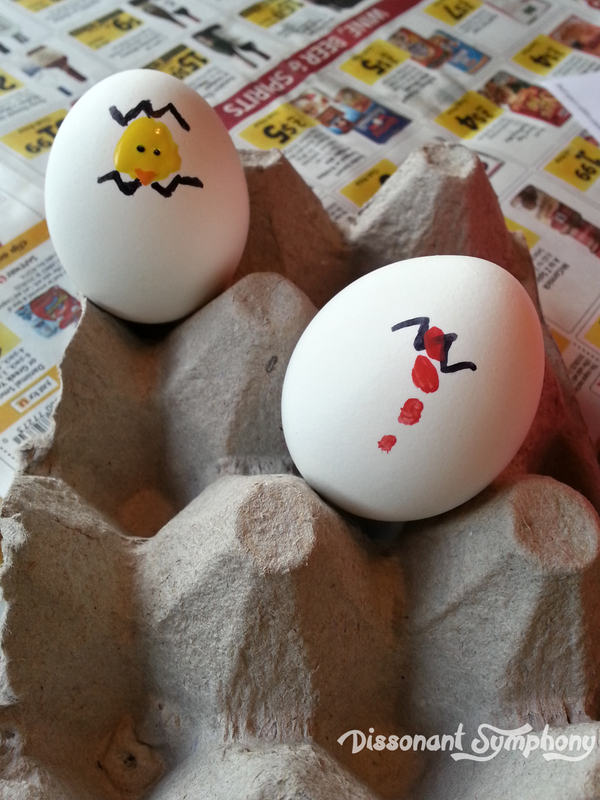 Incidentally, if you are looking for perfection in your hard-boiled eggs this year, I highly recommend this method. 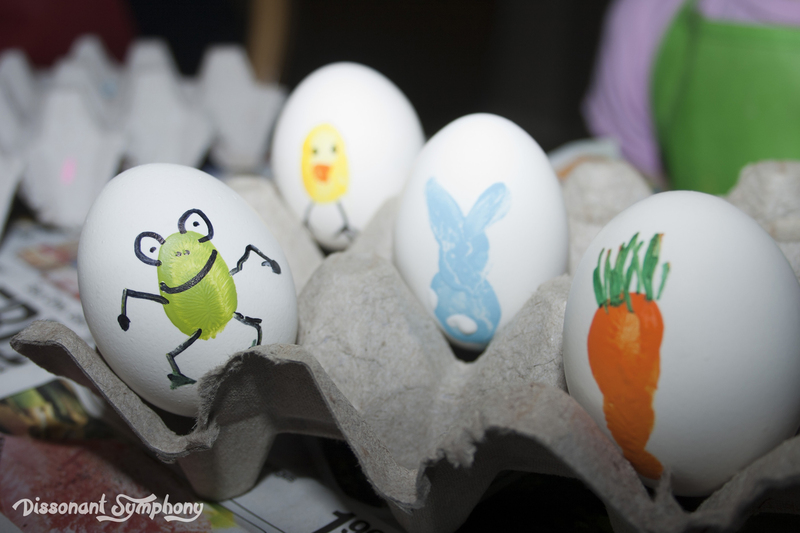 Once the paint prints have dried, take various Sharpie markers and draw in the details. 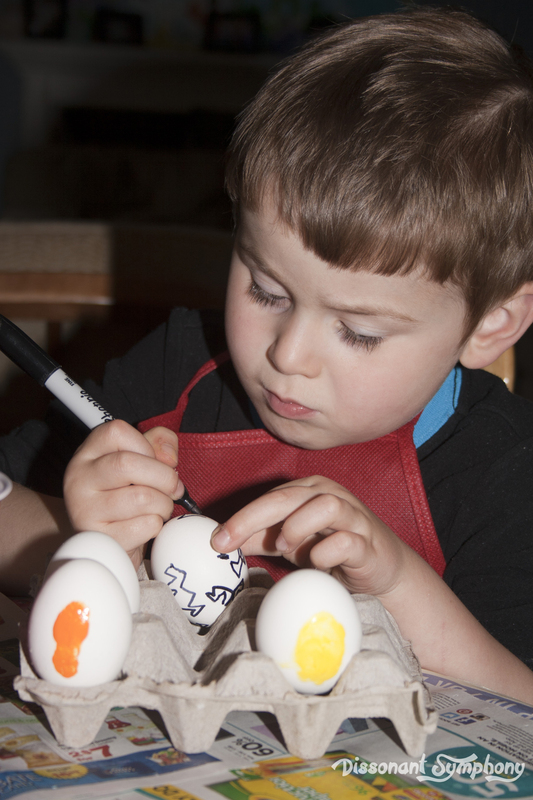 Or, as my son decided to do, just Sharpie all over the egg, making it look completely cracked open. It was hard work waiting for the paint to dry. He wanted to watch, but got bored. I can’t say I blame him for finding something else to do. I realized during this activity that my daughter is a far better artist than I will ever be. Look at that frog. It’s perfection. 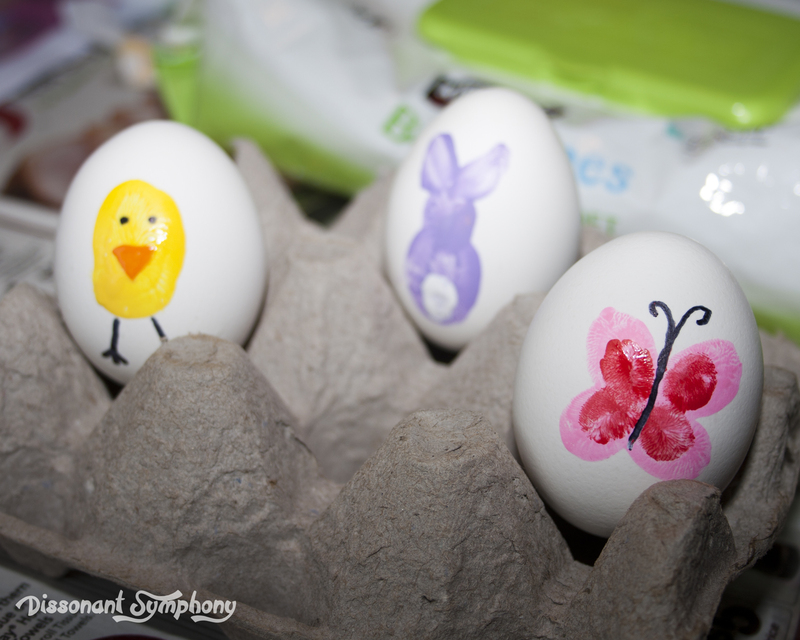 My husband has never been a fan of the egg dyeing process. His description is something like “You drop the eggs in a cup and then have to sit around forever to get any color on them. Where’s the fun in that?”. This was much more enjoyable for him. Here are his “fingerprint” masterpieces. <sigh> Men. 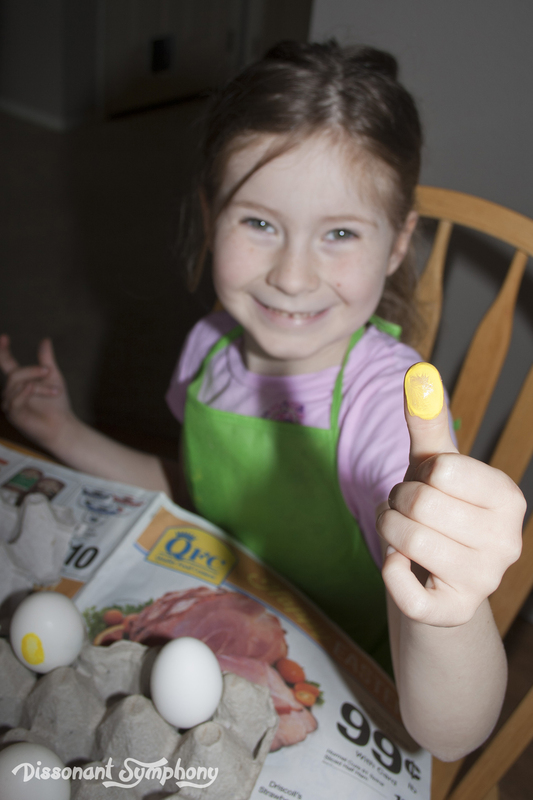 Fingerprint up some eggs yourself this Easter. Fun good times for everyone! Those do look fun! Thank you for the idea — definitely adding this to my Pinterest board!